Participants learn the basics of medical applications in minimally invasive image guided surgery and related hybrid imaging. They gain the knowledge to understand the complex medical environment as well as its challenges in order to improve these procedures (including logistics and imaging in the operating theatre of the future). With knowledge about technology and algorithm they can model and master complex solutions. 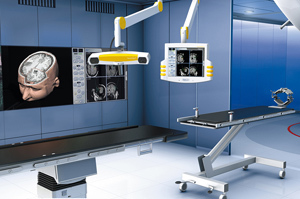 Besides the medical and technical knowledge, definition of clinical, technical projects in the field of intra operative imaging and navigation for minimal invasive surgery is the core focus during the course. Exposure to real world problems makes this a unique setup for modeling and implementing creative solutions. Please note that the lecturers will be available 30 minutes prior to and 1 hour after the lecture in their office in the TUM-IAS building (Room 2.004), 2nd floor, right, last one on the left. One excused (E-Mail at least two days prior to lecture with reason) absence will be accepted, two excused absences will cause a "4" in attendance, a non-excused absence equals failure of the course. That includes the attendance of the surgeries and Q&A sessions. The first block is mandatory! Clinical collaborators include Prof. Dr. E. Euler (Trauma Surgery, Navigated Orthopedic Surgery), Dr. Simon Weidert (Trauma Surgery, Navigated Orthopedic Surgery), Dr. med. Reza Ghotbi (Endovascular Surgery), Prof. Dr. Hubertus Feußner (Minimal Invasive, Laparoscopic Surgery), Prof. Dr. Hubert Hautmann (Pneumologie, Navigated Bronchoscopy) ... (more to follow). Lecture 6 (MF and JT): Written Test, Final presentation and discussion of next steps -- Master thesis projects? Abstract: Participants learn the basics of medical applications in minimally invasive image guided surgery and related hybrid imaging. They gain the knowledge to understand the complex medical environment as well as its challenges in order to improve these procedures (including logistics and imaging in the operating theatre of the future). With knowledge about technology and algorithm they can model and master complex solutions. 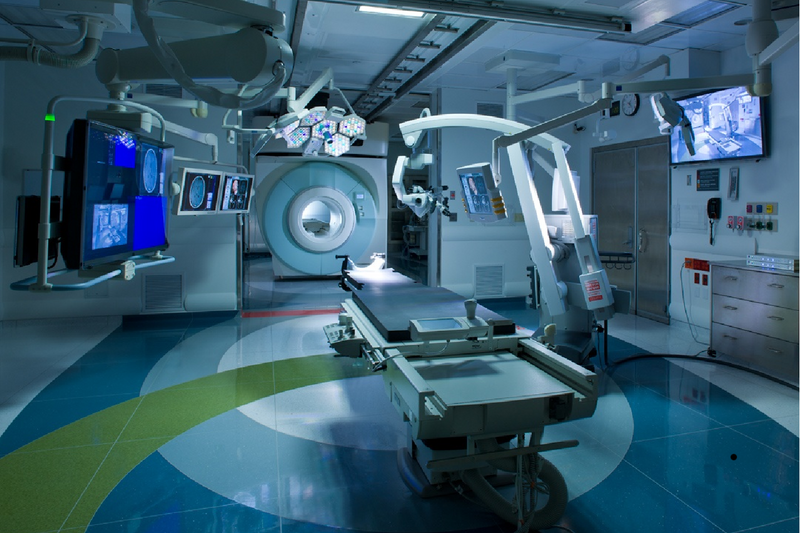 Besides the medical and technical knowledge, definition of clinical, technical projects in the field of intra operative imaging and navigation for minimal invasive surgery is the core focus during the course. Exposure to real world problems makes this a unique setup for modeling and implementing creative solutions.